"No law-breaker... is shrewd enough to see all contingencies. Even the most trivial event has so many intimately related and serrated points of contact with other events which precede and follow, that it is a known fact that every criminal—however long and carefully he may plan—leaves some loose end to his preparations, which in the end betrays him." Joan Sanger is one of those unsung, long-forgotten souls who's too obscure to have her own page on the Golden Age of Detection Wiki, but her ghost can lay claim to something most of the equally obscure names that are listed on that website cannot: she currently has her only known detective novel in print! Back in 2014, Rowman & Littlefield reprinted Sanger's little-known mystery novel, The Case of the Missing Corpse (1936), complete with a replication of the original dust-jacket. 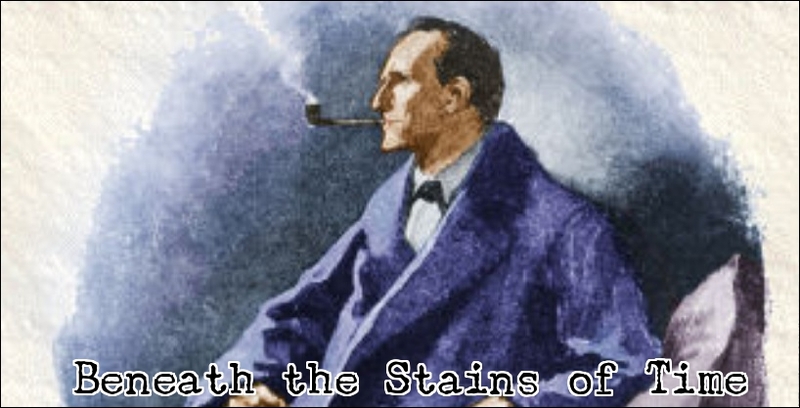 I don't know what prompted them to reissue this specific, virtually unknown detective story, but the plot has several distinguishing features that makes it an item of interest for readers of this blog. 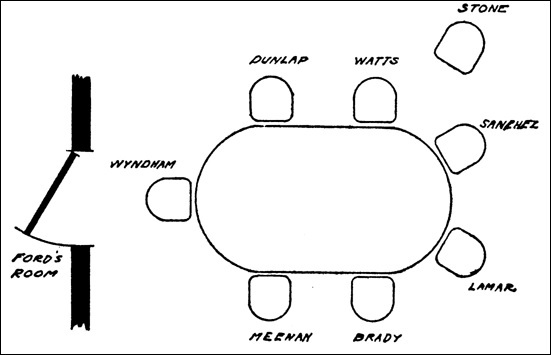 As the book-title suggests, The Case of the Missing Corpse concerns a search for a missing person, instead of a murder investigation, which largely takes place in pre-revolutionary Cuba and contains floor-plans, diagrams and the occasional footnote – punctuated by a genuine surprise twist in the tail of the story. A pleasant jolt of surprise that briefly transported me back in time to my first brush with Agatha Christie. The missing person, or corpse, of the book-title is a sports icon, Stephen P. Wyndham, whose sudden disappearance made his "the days of his brilliant polo at Meadowbrook" and "yachting glory at Newport" the stuff of legend. But the circumstances surrounding his disappearance are equally legendary. During a high-stake poker game with a group of friends in his Havana hotel suite, the hotel experienced a blackout of several minutes and when the lights came back on Wyndham's seat was vacant! Wyndham had "vanished as completely as though the earth had yawned open" and "engulfed him." Back in the States, every club-room in New York was rife with gossip and reporters spread the latest developments in the case all over their front pages, which dragged on for nearly a full year and the public was still "panting for Wyndham news" - except that the police suddenly "clamped the lid down." They're instructed to stop giving out information to the media and it's suspected that the elder sister of the missing sportsman has a hand in this. So two reporters of the New York Globe decide to take a whack at cracking the case for themselves. John Ellis is one of these reporters, who lends his voice to the narrative of the story, but his role is primarily that of playing the incredulous Dr. Watson to Peter Alcott's Sherlock Holmes. Alcott writes a daily sports column in the Globe and is known for his unvarying nonchalance, since nothing ever seemed to phase him, but rarely does anything escape his Argus-eyed attention. 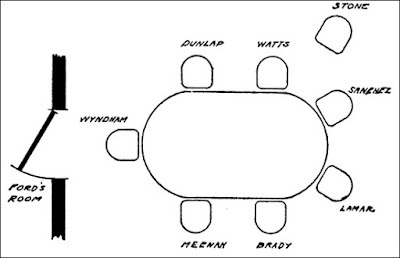 During their investigation, Alcott revealed himself to be common-sense man with the instinct and bluffing ability of a professional poker player. Something that would prove to come in handy when they needed access to certain people who would otherwise not talk with representatives of the press. So I think you can place Alcott, as a detective-character, alongside Craig Rice's John J. Malone and Stuart Palmer's Miss Hildegarde Withers. The reader is given an early demonstration of Alcott's questionable methods when he uses an old python-skin cigarette case, which used to belong to Wyndham, to get access to the private residence of the sportsman older sister, Miss Isabella Wyndham – who had initially hoped to put "a stop to this public pillorying." She also told them to print what they liked, but then Alcott played, what Ellis called, one of his "damn fool hunches." However, the shot in the dark hit home and the reporters gained access to the family attorney, Mr. Elihu Stone. And this sets them on the trail of the family lawyers nephew, Charlie Stone, who is revealed to be one of people who was present in the hotel suit at the time of Wyndham's disappearance. So, slowly, but surely, Alcott and Ellis snake towards a solution by "locating Wyndham's slippery friends," which brings the two newspaper reporters to the Havana hotel in pre-Castro Cuba. There they eventually track down the people who were present in the hotel suite on the night of the disappearance, which was a mixed crowd to say the least. Several of Wyndham's personal, long-time friends, but the other poker players were a judge, a movie director, a backstage politician and a Cuban planter. One of them played for stakes much higher than the pile of cash on the center of the poker table! Alcott and Ellis gathered most of the poker crowd in the same suite and threw all of the cards on the table, but this resulted in a different, more chaotic, denouement than expected and the surprise waiting for the reader once the dust has settled on this scene is an authentic, old-fashioned rug-puller – one that caught me completely by surprise. 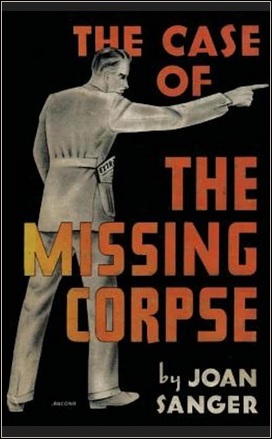 Up to that revelation, The Case of the Missing Corpse had shaped up to be fairly regular detective story with a slightly different approach to the plot (a missing person instead of murder). And then, when you least expect it, Sanger knocks the ball right out of the park! There is, however, one minor smudge on the overall quality of the solution that has to be mentioned. During those final, chaotic scenes, someone is found dead in a storeroom that was locked from the inside. The police assumed it was a simple suicide, but Sanger hints that it may have been a murder. Once you know the solution, you know who the potential murderer is and this persons motive, but it is never clarified whether this death really was a suicide or murder. Or how a murderer was able to escape from the locked storeroom. So I assume the death was indeed a suicide. Otherwise, The Case of the Missing Corpse was a pleasant surprise in the truest sense of the word. Yeah, okay, you've convinced me. I'm not a fan of unresolved impossibilities -- or even locked room murders that turn out to be suicides, which seem a complete waste of a wonderful conceit -- but the rest sounds excellent. I mean, I'm unlikely to get to it any time soon, but I'll add it to the ever-precarious TBB...many thanks! Officially, you can view that final death as a suicide. So there really aren't any unresolved impossibilities. It was just weird that Sanger hinted at a (locked room) murder. The rest of the story, and particularly the surprise solution, is really worth the price of admission.